The Spearfish Area Historical Society has done an outstanding job of pulling in some great speakers. SAHS meets monthly and you'll find some photographs and information from more recent meetings below. Please note that this is not an official site for the society. You may click on each photo below to see a larger image. You're right. This WASN'T taken at the historical society meeting. 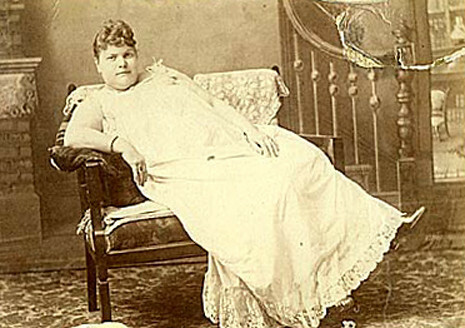 This is an unidentified "lady of the night" in a photo from turn-of-the-century Deadwood. Photo courtesy of Deadwood Illustrated.